Hizballah has established a vast network of operatives throughout Latin America, and even in North America, which could be used to wage terrorist attacks against American interests if the group or its Iranian patrons see fit, witnesses told a House Homeland Security subcommittee on Thursday. The threat is not imminent, panelists said, as the Lebanese-based Shiite group focuses on money-making criminal enterprises like narco-trafficking. More than 80 Hizballah operatives have been identified in at least a dozen South American countries, said Roger Noriega, former assistant secretary for Western Hemisphere affairs. "If our government and responsible partners in Latin America fail to act, I believe there will be an attack on U.S. personnel, installations or interests in the Americas as soon as Hizballah operatives believe that they are capable of such an operation without implicating their Iranian sponsors in the crime," Noriega told the Homeland Security Subcommittee on Counterterrorism and Intelligence. U.S. Rep. Kathy Hochul, D-N.Y., said the testimony was unnerving. "I am getting the sense that we are sitting ducks here," she said. It would take significant developments, like an attack on Iran by the United States or Israel, to prompt Hizballah operatives to forfeit their business interests and start waging attacks on American interests, said Doug Farah, a senior fellow at the International Assessment and Strategy Center. Hizballah is currently in a defensive mode, he testified, but could switch to an offensive mode if provoked. "Hizballah can be described as a potential insurance policy of sorts for the Iranian regime," explained Ilan Berman, Vice President of the American Foreign Policy Council, in written testimony. Rep. Jackie Speier, D-Calif., considered the indictment of several Hizballah members for their roles in the 2005 assassination of Lebanese Prime Minister Rafiq Hariri and the outcome of the collapsing regime of Syrian President Bashar al-Assad as other factors that could escalate Hizballah tensions in the near future and put the United States at risk. Assad's Syrian regime is known to have provided financial and logistical support to Hizballah. Syria is one of Hizballah's biggest state sponsors, second only to Iran. Compounding the threat, Iran's Mahmoud Ahmadinejad has formed alliances with Latin American government leaders, including Venezuela's Hugo Chávez. "They [Hizballah] have the motivation," said Noriega, "and they have been steadily increasing their capacity to act." 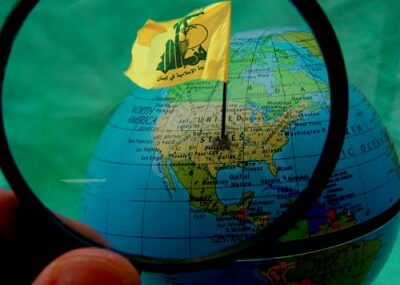 Even if Hizballah operatives in South America don't directly attack the United States, the money they send abroad could strengthen the group, and by extension, Iran. During questioning, Hochul asked the witnesses where the estimated $20 million per year raised by Hizballah in Latin America ends up. "I'm sure the bulk of the money if I could just guess, goes to weapons and military related activities, but also social programs in Lebanon," said Dr. Melani Cammett, a hearing witness and Brown University political scientist. The other witnesses agreed. "The bulk of the proceeds end up being funneled back to the Middle East," said Berman. Cammett, who has interviewed Hizballah leaders in Lebanon, disagreed with the three other witnesses in her assessment of the threat from the terrorist group. The idea that Hizballah would launch attacks against the United States at this time from Latin America, she said, "is not based on firm evidence." She emphasized that Hizballah is mostly concerned with launching violent attacks against Israel. Hizballah has not attacked an American target since the 1980s, she said, and has not called on its members to target the United States. In response to Cammett's argument, other witnesses and committee members questioned why Hizballah would chose to grow support in another hemisphere. "You don't infiltrate an area unless you have an intent," said Rep. Brian Higgins, D.-N.Y. And Hizballah's intent is "not benevolent," he said. Farah suggested that law enforcement and law makers spend more time asking, "What are they doing here?" Hizballah's resources are squeezed, he said, but the group is spending a large percentage of those resources on positioning itself in South America. Some Hizballah infiltration south of the border is already reaching the United States and its southern border, witnesses and committee members said. "In July of last year, we had the first IED explode in this hemisphere," Rep. Jeff Duncan, R.-S.C., said, referring to a sophisticated car bomb that exploded in the U.S.-Mexico border town of Ciudad Juarez. In written testimony, Farah cited an increase of tattoos with Hizballah symbols and Farsi phrases among prison inmates. Tucson, Ariz.'s police department released last fall a security memo which featured pictures of U.S. prison inmates' tattoos indicating Hizballah support or membership. A Hizballah flag, two crossed AK-47's (a Hizballah symbol) and the word "Hizballah" in Arabic were among the tattoos pictured. The hearing isn't the first time government officials have asked whether pockets of Hizballah members operating in South America threaten U.S. security. In June 2010, Rep. Sue Myrick, R.-NC, asked Homeland Security Secretary Janet Napolitano to investigate Hizballah's presence operating in Mexico and along the U.S.-Mexico border. Hizballah continues to concern American policy makers, but witnesses argued the current approach, which treats the Hizballah in South America as a drug problem, rather than a terrorism problem, must change. The U.S. needs to develop a more comprehensive plan to tackle the Hizballah threat in the Western Hemisphere, Berman recommended. "Such attention is long overdue," he said, "and the most immediate way the United States can begin to address the danger posed by Hizballah is by acknowledging that the organization uses our Hemisphere as a significant staging ground, fundraising hub and operational base."